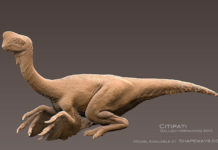 Corythosaurus is a dinosaur which lived approximately 75 million years ago during the late Cretaceous Period and toward the end of the Mesozoic Era. 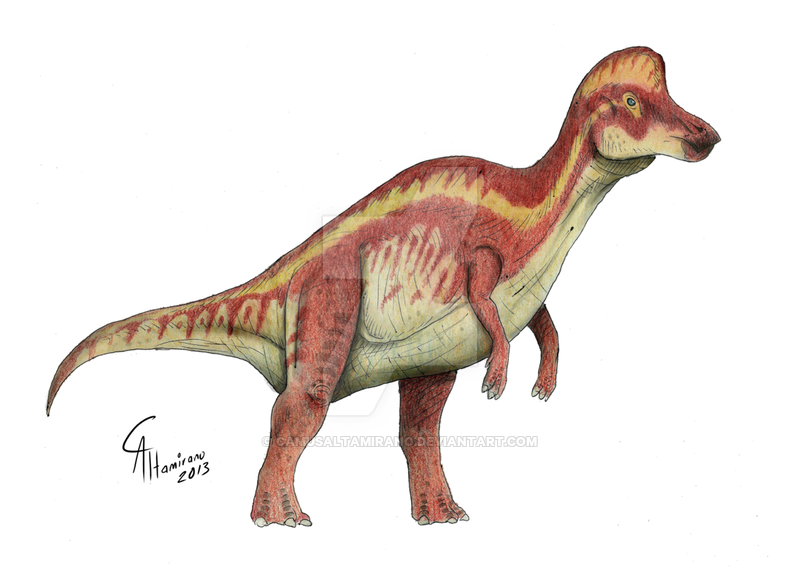 It was first discovered in 1911 by Barnum Brown in Red Deer River located in Alberta, Canada. 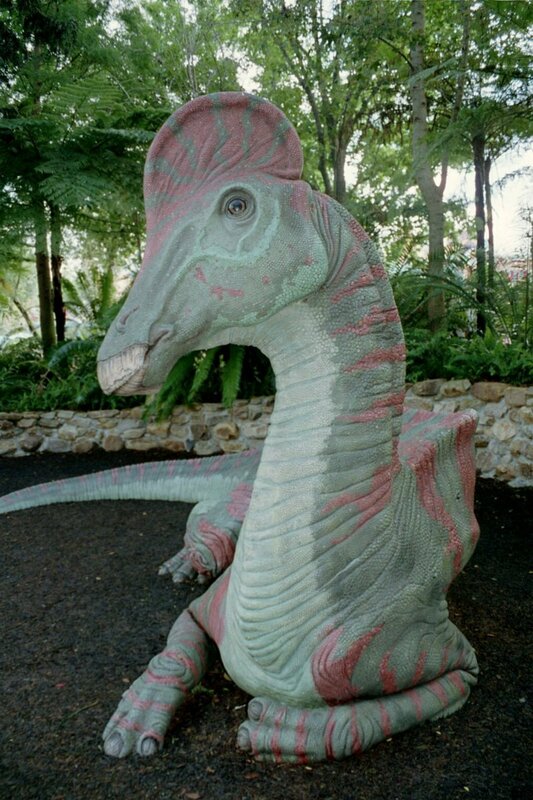 He named it Corythosaurus immediately after. A name which means “helmet lizard.” In fact, it was named after a particular type of helmet. It was named after the helmets that were used by Greek soldiers around 2700 years ago in Corinth. 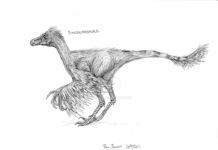 Since the original discovery of this dinosaur’s fossils in 1911, several specimens have been found all over North America. Fossils have not only been found in Canada, but have also been found in parts of the United States, particularly in Montana. 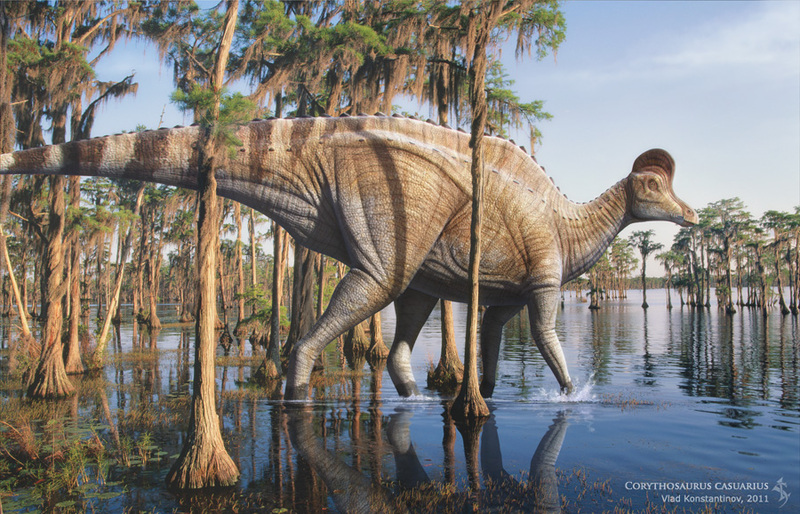 As its name would imply, this dinosaur had an impressive bony crest on the top of its head in the shape of a helmet. 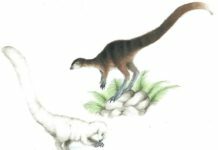 It is not known if this crest was used for defense, to cool this dinosaur down or if it was used to court females, but there is one interesting fact about Corythosaurus’ crest that is known . This dinosaur’s nostrils rose up through this crest, perhaps allowing it to smell better than it ordinarily would have been able to do. 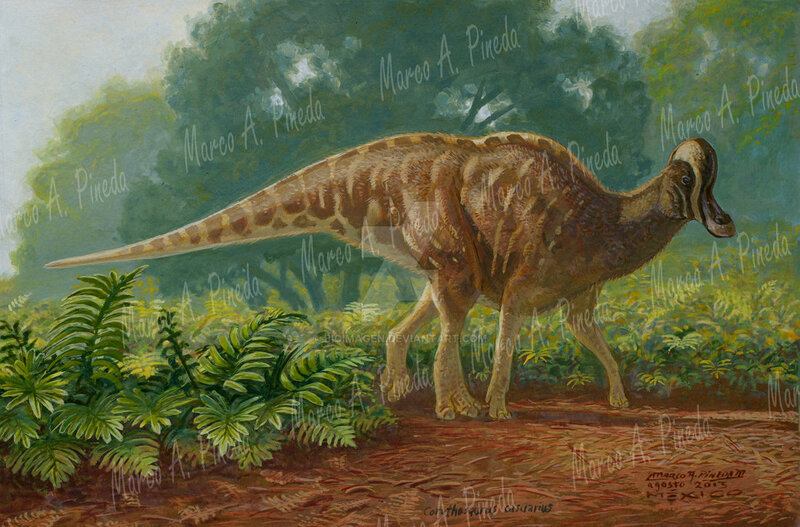 Corythosaurus was about 33 feet long, 7 feet tall at the hips and weighed around 5 tons. 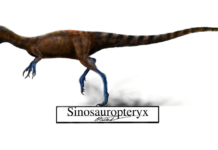 This dinosaur had a toothless beak and hundreds of cheek teeth that was used to chew up its favorite food. 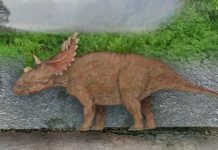 Paleontologists have speculated that this dinosaur was an herbivore—meaning that it probably lived off of plant material such as gingkos, conifers, pines and/or pine needles and cycads. 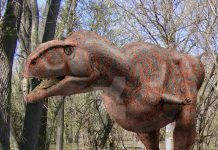 In fact, most of its diet were twigs as proven by the many excellent fossilized stomach contents of this dinosaur that have been found throughout the years.